Tommy Burns died today. He always seemed like a decent man to me. All the cliches are out – “football man“, “family man” etc etc, and for once they’re all true. 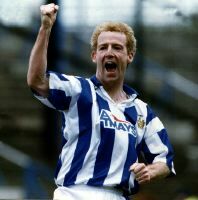 I never met him, but I often cheered him on/cursed him from the sidelines when he was playing/managing for Kilmarnock. He was a majestic midfielder before taking the hot seat in the dugout, and he worked a miracle by dragging us from the despairs of the lower leagues to the dizzy heights of the Premier League. He also played over half a thousand times for some other provincial team, but we’ll gloss over that part.